Hummus is one of my favourite things ever! It's the best savoury snack with carrot sticks, rice cakes, sliced pepper, crackers, pitta bread or on toast and I love topping my salads with it or pairing it with roasted veggies. 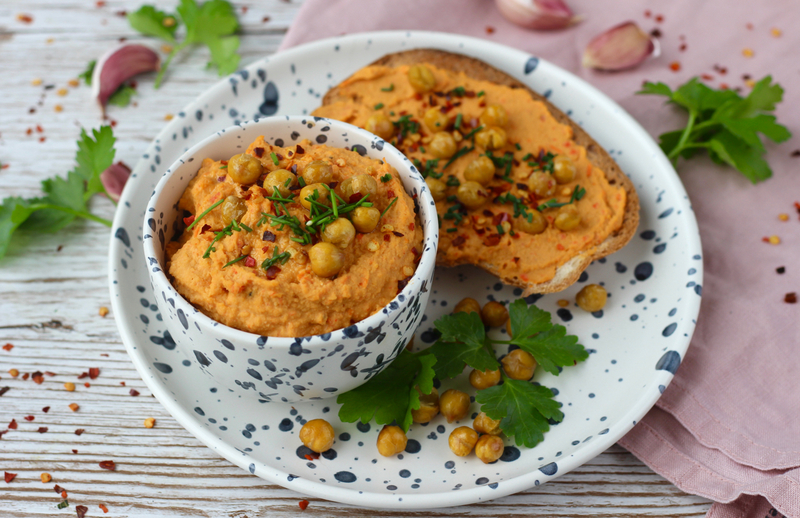 Classic hummus is amazing as it is, but sometimes I fancy something a little different such as this smokey red pepper hummus! This smokey red pepper hummus is a total dream. It's got all the creaminess of classic hummus with so much more added flavour from the roasted red pepper and the smoked paprika. It's my current obsession and I couldn't be more excited to share the recipe. Hummus is a wonderful addition to any meal, and as I said above it's one of the best snacks you can have. It's high in protein and fibre to keep you feeling full and balance those blood sugar levels, it's low in sugar, it contains healthy fats and plenty of vitamins and minerals too! Pairing it with veggie sticks really boosts that vitamin intake or pair with pitta bread, crackers or rice cakes for a delicious post-workout snack. 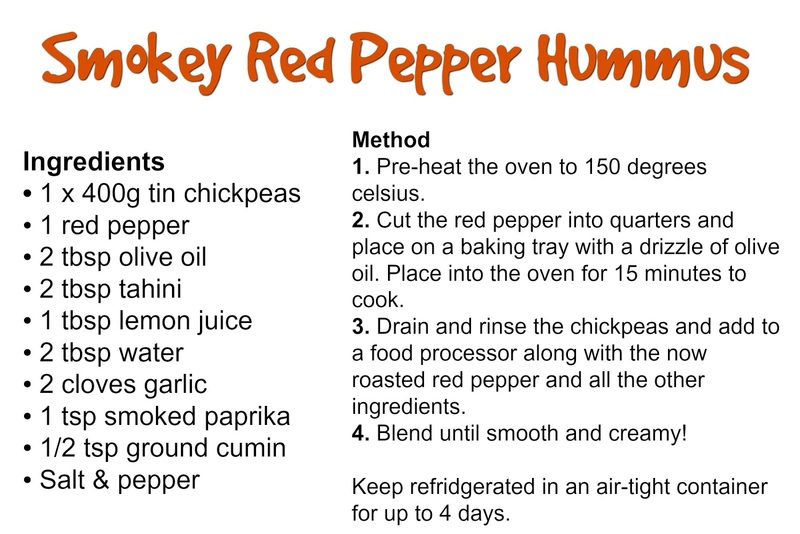 Try sprinkling some fresh herbs and dried chilli flakes into this hummus for even more flavour and contrasting colour.